1. 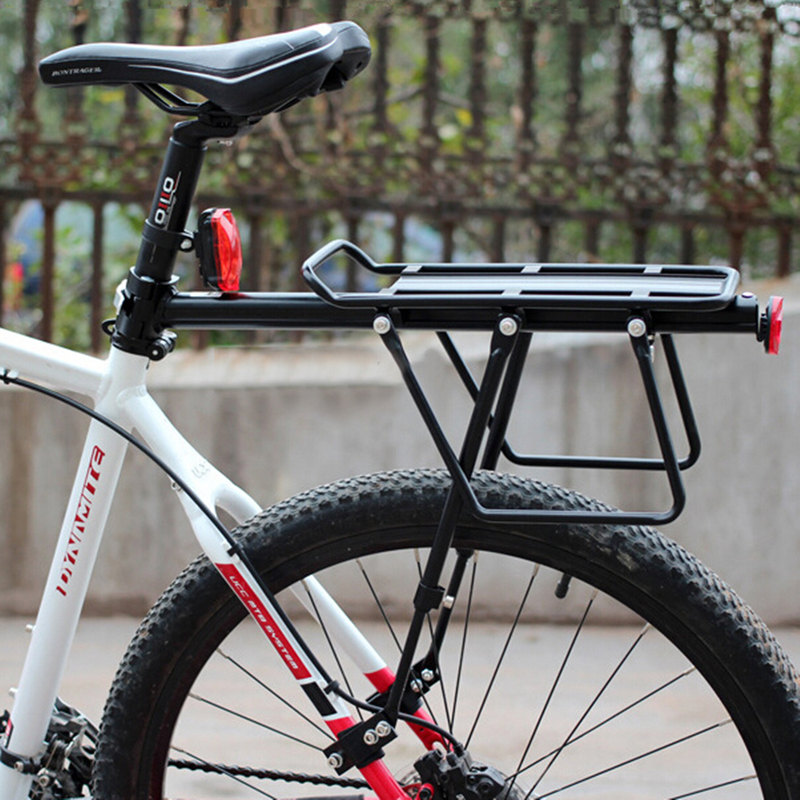 COMPATIBILITY - Suitable for 15'' to 20'' MTB mountain bike, also can be used in 26, 27.5, 29 cycling trails. 2. 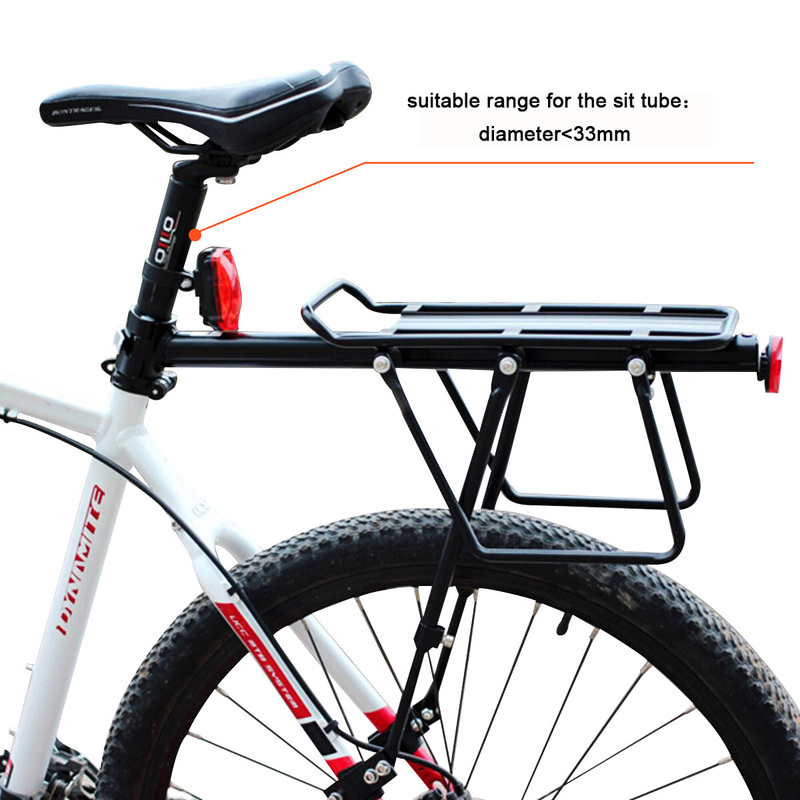 USEFUL DESIGN - The total weight is only 1200 grams. Suitable for V-brake and disc brake. The lower fork can be adjusted. 3. 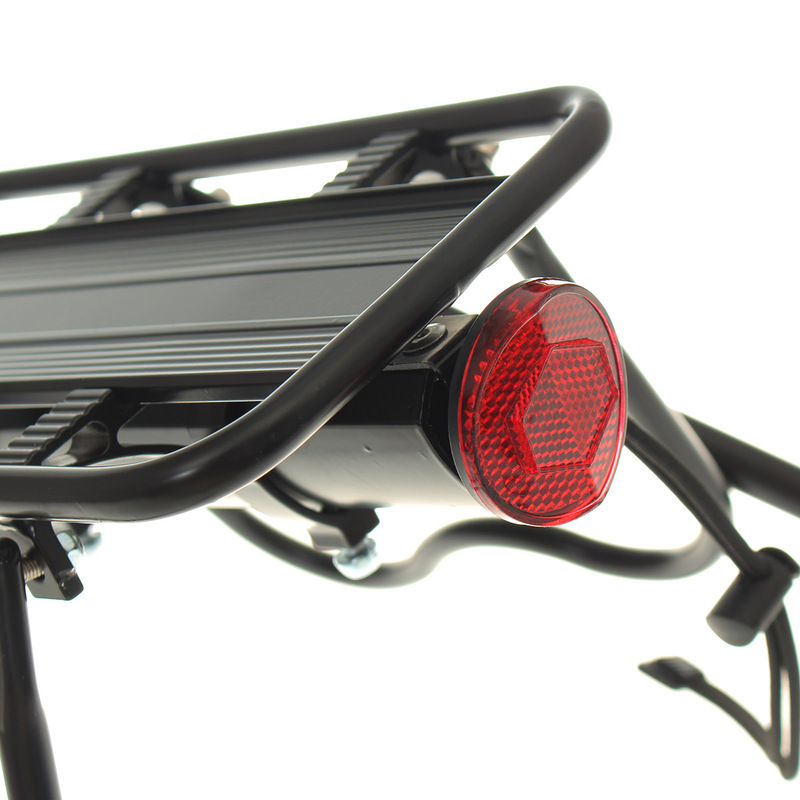 20 lbs LOAD - High-quality aluminum alloy frame. Strong and durable. Both sides have baffle, can carry your friends. 4. SAFETY - Comes with red reflector lamp and elastic strings that will keep your luggage safe and make you safer in the night. And it also can protect the side frame from scratching. 5. BIG - 35 x 14.5 cm, movable and fixed rack - idea for suitcases, backpacks, baskets. allow you to carry enough for a day trip.